This instant download PDF cross stitch pattern is easy and quick to download, print yourself and add to your pattern collection. 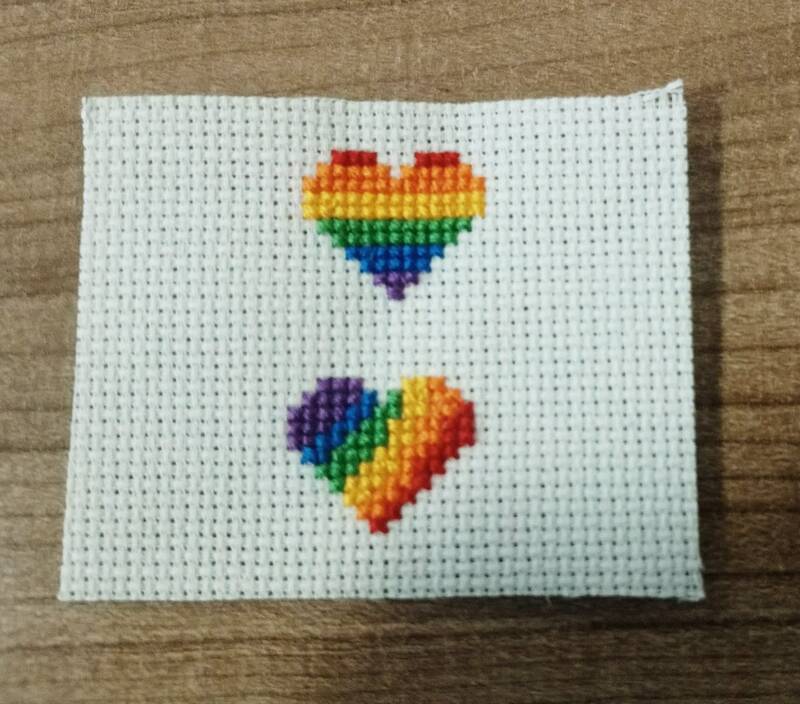 You can create your own beautiful rainbow hearts cross stitch image today using our downloadable pattern! 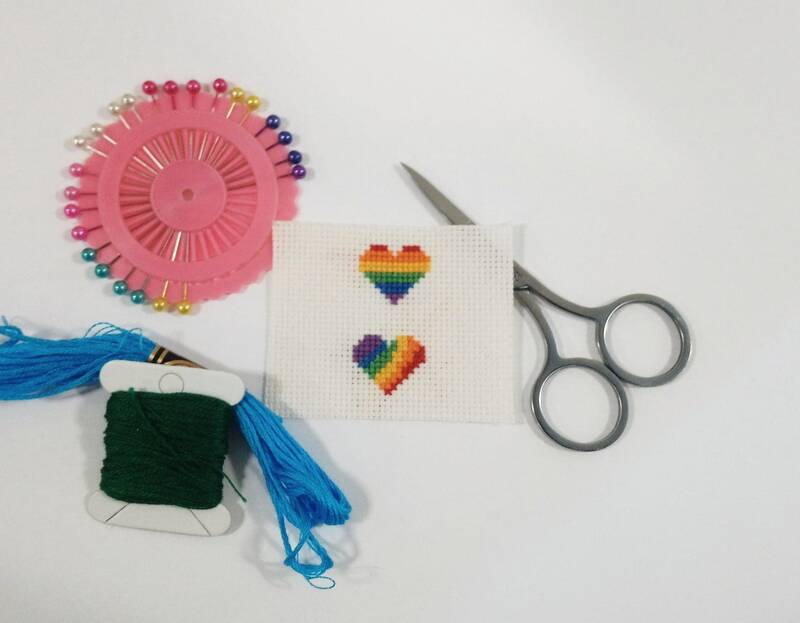 Final stitched item is no more than 6 cm square, making it perfect to mount in a little frame or card, to use to embellish a bookmark or as a keepsake. After payment you receive a pdf containing a coloured pattern, instructions and a JPEG of the finished image photo. 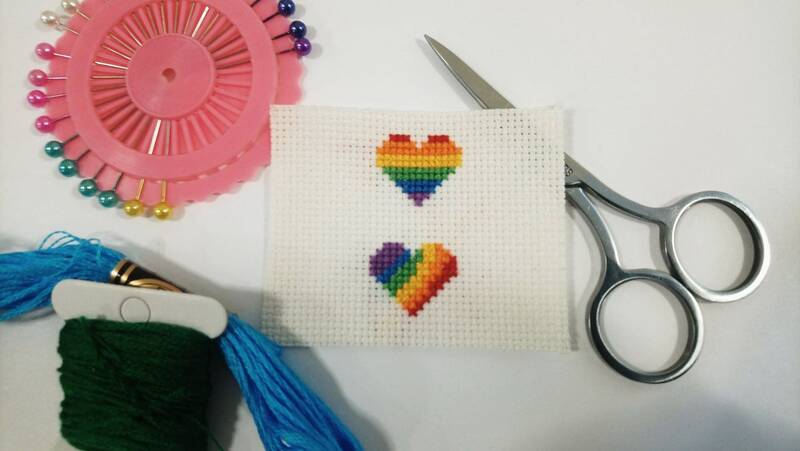 If you would prefer the full kit with all materials required to stitch your beautiful rainbow hearts checkout our Cross Stitch Kits Listings! Note: this purchase is of a digital download only (materials pictured are props only). The pattern is for private use only, not to be used for commercial purposes.